A large number of companies are found taking outsourcing help for the purpose of payroll processing. The fact that you have an expert Payroll processing outsourcing to help you out not only adds to your relief but also turns out to be an intelligent move. You cannot only make a difference with the expertise intervention but as an entrepreneur, or a manager, you can be free to attend to the other needs of your business. You can use the free time for the purpose of lining up effective business strategies. Here are the five leading reasons why you should take outsourcing help. It is just not the question of preparing and disbursing the paychecks, but the proposition of payroll management also involves cost evaluation. The prospect of evaluation is time taking. The more time you spend, the greater is the cost incurred. But once you have the service and support of the Payroll processing outsourcing, you can expect it to distribute checks, make the cost estimate, create tax-related documents and look after the bookkeeping issues. In this way, you can minimize the wastage of time, money and thus free yourself from the associated hassles. That’s because you know that the payroll related procedures will be managed and maintained by the outsourcing specialist. It pays to hire one of the best Payroll Outsourcing Services because, in that way, you can focus on growing and developing your business. You are left free to identify the areas of strength. Once you have identified those areas, you can build upon the same. In this way, by identifying your potential, you can add to the wings of your operation. You may or may not be aware of the legal rules and stipulations. But the entire process of payroll processing including tax filing, and filing of returns need to take place according to the governmental norms and regulations. Even if you are not aware of these legal issues, the best Payroll Outsourcing Services are aware and informed of the same. Consequently, you can expect a thing to take place, in a methodical manner, with a focus on precision. Once you have delegated the responsibility to the payroll outsourcing vendor, you are unlikely to incur penalties for late submission or incorrect paperwork. The outsourcing services are also aware of complicated legislations. In fact, they have a whole lot of legislations to deal with. These keep changing from the time to time. So, unless you keep a track of the changes that are taking place, the protocols will fail to comply with the governmental parameters. 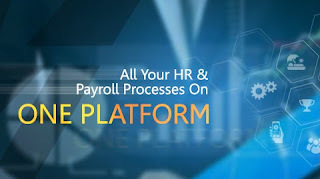 Here again, taking the guidance of a payroll processing expert proves to be of significant help as you come to know the latest rules and regulations. That’s because the payroll processing team makes use of the best accounting practices. The expert professionals also have access to the best tools of technology. As a result, your employees can expect to receive accurate payment, on the scheduled date, without fail. The outsourcing service provider will also make sure that employees have access to direct deposit and the online portal, which they can use for the purpose of reporting. So, now that you can count on the advantages of hiring a payroll outsourcing service, you will not think of managing the nitty-gritty, by yourself. Instead, you will focus on making the business procedures more productive and profit-yielding.